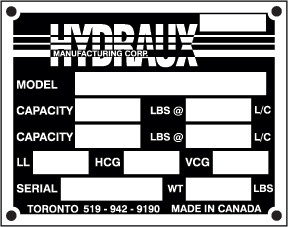 Hydraux Manufacturing Corporation has over 40 years of experience in the design and manufacturing of standard and special forklift attachments. We offer professional engineering and reliable sales assistance to provide you with the attachment you need to maximize the productivity of your forklifts, Fork Positioners, Brick and Pipe Clamps, Frame Stabilizers, Tire Handlers, Stationary Load Inverters and Custom Glass Handlers. As a one stop supplier our aftermarket support includes parts fulfillment, refurbishing Clamps /Mast repairs and forklift truck modifications and overhead guard modifications. Hydraux offers a wide range of forklift attachments in our rental fleet, weekly or monthly. Standard products include: Integral carriages, Heavy Duty Fork Positioners, Carton Clamps, Rotators, Paper Roll Clamps, Push Pulls, Bale Clamps and Fork Clamps. We offer fast delivery, competitive pricing and prompt service parts attention. 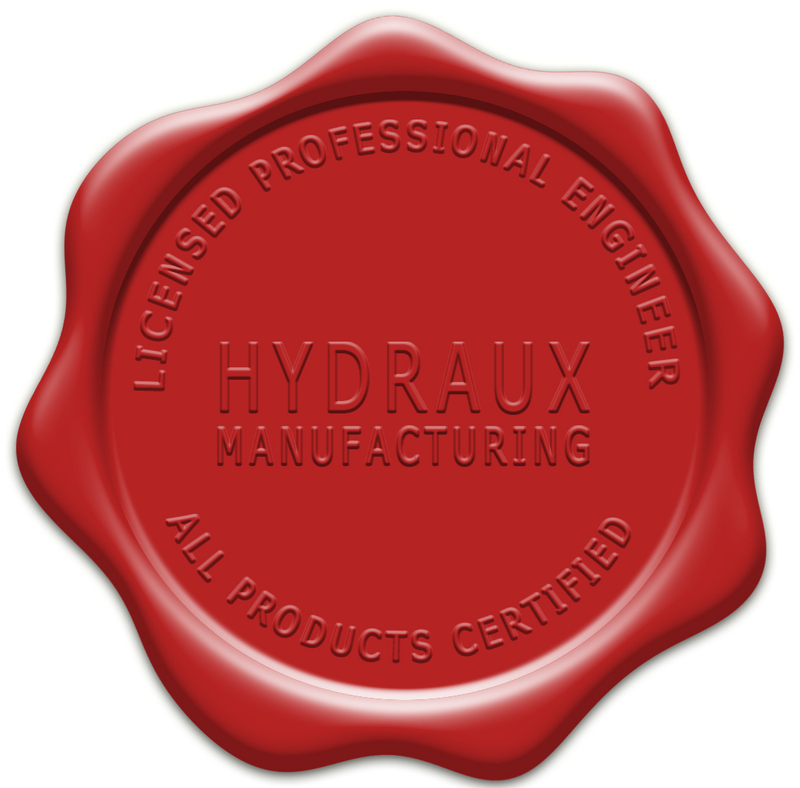 All of Hydraux’s modification and repairs are certified by our engineering dept. Stationery load inverters have the ability to clamp products from the top and the bottom and then rotate them through 180 degrees or 360 degrees. 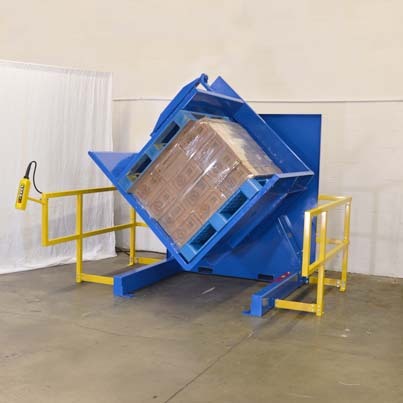 Pallet transfer is simplified with this easy to use system.